SuprNova Pool has now reported that XVG network is under 51% attack again. As a result of the attack, the attacker is getting all the mining rewards. SuprNova Pool further cited the below screenshot as a proof of the ongoing attack. 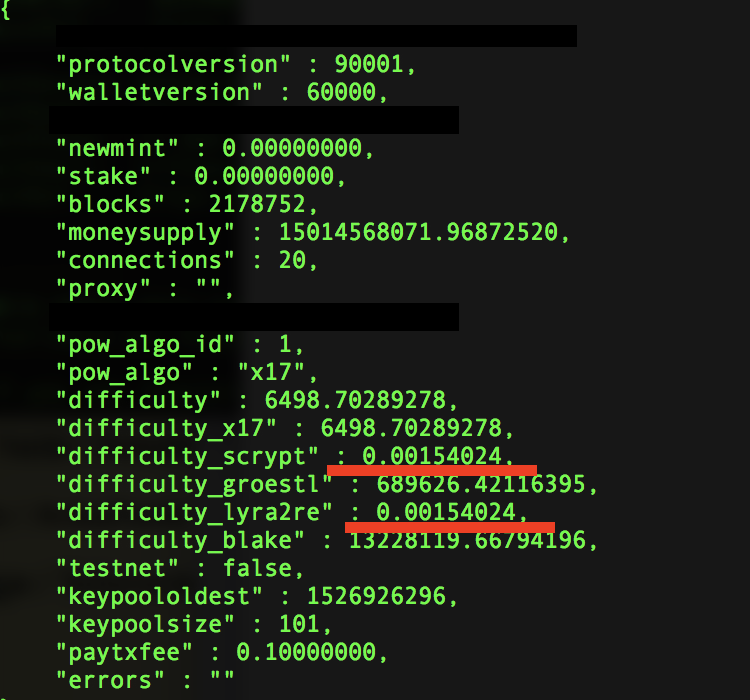 Notice that the Scrypt and Lyra2RE difficulties are the same. Based on the blocks mined since the attack started, the attackers have made more than a $500,000 already. Earlier in April this year, Verge (XVG) suffered a 51% attack and was forced to fork. A bug in the Verge code enabled the attacker to spoof timestamps and cause blocks to be produced. Last time, around 250,000 XVG were stolen by the attacker. A 51% attack on a cryptocurrency blockchain happens when an attacker gains access to 51% of the total network hashrate. This is becoming more easier to perform with using on-demand hashrate buying services such as Nicehash. Once the attacker gains 51% hashrate, they can create blocks that are not genuine and can gain the block rewards. Last week, BTG suffered a 51% attack on it’s blockchain.